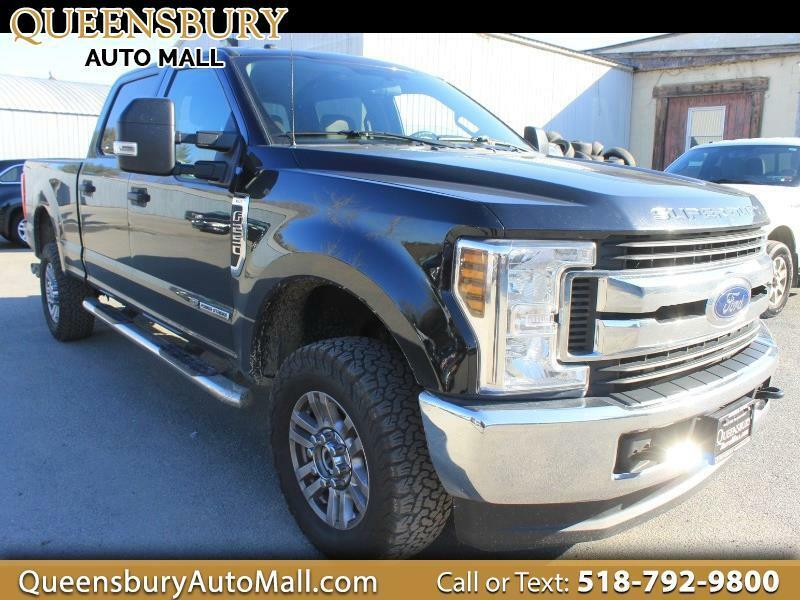 ***POWER STROKE DIESEL CREW CAB FORD F-250 SUPER DUTY XLT FOUR WHEEL DRIVE TAX TIME SPECIAL AT QUEENSBURY AUTO MALL - COME TO 635 GLEN STREET IN QUEENSBURY, NY 12804 TO GET ONE OF THE BEST PRICES WITHIN A 200 MILE RADIUS ON A POWER STOKE XLT CREW CAB F-150 SO COME SAVE MONEY WHILE BUYING YOUR NEW POWER STROKE - TRADE YOUR OLD RIDE INTO THE AUTO MALL AND SAVE MORE $$$, LET THE AUTO MALL FAMILY UPGRADE YOU TODAY*** 6.7L V8 OHV 16V DIESEL MOTOR! NO ACCIDENTS ON CARFAX! FOUR WHEEL DRIVE WITH LOCKING TRANSFER CASE! TOW PACKAGE WITH TRAILER HITCH RECEIVER, OVER DRIVE HAUL MODE AND ELECTRONIC TRAILER BRAKING! KEYPAD NUMERIC ENTRY PAD! CARGO BED LIGHTING AND SPRAY-ON BED LINER! KEYLESS REMOTE ENTRY SYSTEM! FULL POWER EQUIPMENT! FULL CABIN HEATING AND AIR CONDITIONING! FRONT TOW HOOKS! FIXED RUNNING BOARDS! 6 PASSENGER SEATING CAPACITY! FULL CABIN SAFETY AIRBAG CURTAINS AND SIDE AIRBAGS! REAR VISION BACKUP CAMERA! TINTED PRIVACY WINDOWS! FULL CABIN HEATING AND AIR CONDITIONING! REAR WINDOW DEFROSTER! AM/FM/CD PLAYER WITH AUXILIARY INPUT JACK, USB IPHONE INTEGRATION, SATELLITE RADIO AND WIRELESS AUDIO STREAMING! HEATED EXTERNAL MIRRORS! DUAL GLOVE BOX STORAGE WITH OPEN FACE TOP STORAGE! PULL DOWN STORAGE CONSOLE WITH CUP HOLDERS! ALLOY WHEELS ON FRESH ALL TERRAIN TIRES!